Calling Mathew Burtners work experimental is like calling the pope catholic. The Wire has called it “some of the most eerily effective electro-acoustic music I’ve heard.” We’ll just call it a truly outstanding musical experience. This a tribute of sort to Sonny Rollins’s Saxophone Colossus, a record that stands has a landmark of sax music. The music here is adventurous and highly technical, but don’t let the academic talk scare you off this is an amazing record. A dronal landscape of staggering proportion. Burtner plays a metasaxaphone an instrument of his creation a human-computer instrument, a special microphone for composing with saxophone feedback, along with new methods of physical modeling synthesis. The Baltimore Sun wrote of Burtner, “This music explores worlds no Saxaphone has gone before.“ and yes in case you were curious, the Pope is Catholic. 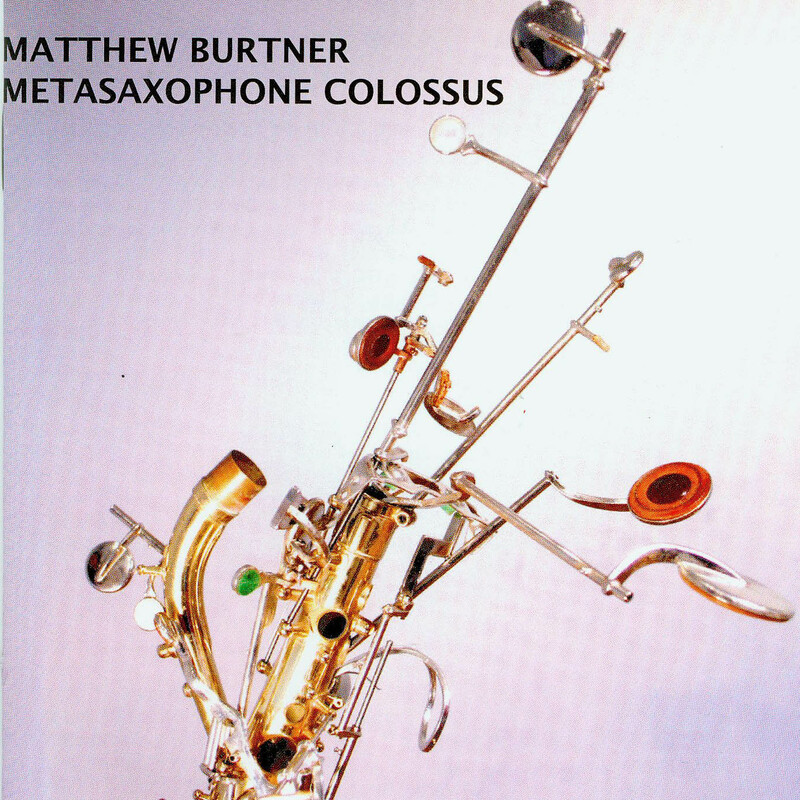 Metasaxophone Colossus is a tour de force showcase for composer, performer, and instrument-inventor, Matthew Burtner. It is a compact disc that pays homage to the great Sonny Rollins’s 1956 album, Saxophone Colossus, while bringing together Mr. Burtner’s primary work from the last few years and thereby providing a bookend to his 1999 release, Portals of Distortion (innova 526). If you have been anywhere near the computer music scene in the recent past, you have likely heard one or more of these memorable pieces performed live by Mr. Burtner on his elegantly home-brewed Metasaxophone. Anything you give up in hearing them on CD is quickly accounted for by the delight of having them collected in one place. At a time when many alternate controllers and extended instruments surface just long enough for a single piece or performance, it is a rare luxury for us as listeners and scholars that Mr. Burtner has developed a legitimate repertoire for his instrument, one that is both carefully crafted and finely documented on this new CD. Ironically, the originality and even existence of Metasaxophone Colossus is most likely the result of Mr. Burtner giving up the saxophone for several years earlier in his life, frustrated with the conventional techniques and repertoire it then embodied for him. When he finally returned to it, he did so with a Xenakis-inspired commitment to always forget one’s previous creations and start fresh. That spirit is undeniably evident on this fine disc, which should prove equally inspiring to performers, composers, tinkerers, and inventors, while also challenging and rewarding listeners from a variety of musical backgrounds. Burtner here treats the ear more to improvisation on the use and shape of the sax perhaps more so than improvisations on a melody. "S-Morphe-S" is landscape-wide palette of tone coloring done with "singing bowl soprano saxophone hybrid computer instrument." The 9-minute piece is disembodied and floating.